It is the centennial of the Russian Revolution. The first stage, which lead to the Bolshevik Revolution later that year, started in the capital city of St. Petersburg. Rioters and strikers refused to desist in their efforts to cause chaos. At the time, regiments of the tsar’s army defected. Tsar Nicholas II who was losing control of his empire, abdicated the throne. According to the Gregorian calendar, which most of the world follows, the revolution began on March 8. In 1917, Russia still used the Julian calendar, so for them, the revolution started on Feb. 23, hence it is known as the February Revolution. War, hunger and poverty, had fueled the rage. The immense damage and destruction to Russia caused by its involvement in WW I contributed significantly to the fall of the tsar. Two million soldiers were reported dead, one million were missing in action, many more were seriously wounded, the economy was in shambles, and unemployment was running rampant. A new provisional government was established. At the helm was the socialist democrat Alexander Kerensky who became the Minister of Justice. At the same time, Kerensky also became the vice-chairman of the Petrograd (St. Petersburg) Soviet revolutionary council. These posts made him the most important leader in the revolution. The expectation was the government would be more tolerant. Within the Jewish community, many saw hope in the change of leadership from the despotism and anti-Semitism of the tsar. During WW I, he himself had personally investigated and refuted highly publicized bogus charges of treason leveled against the Jews in a village named Kuzhi in April 1915. 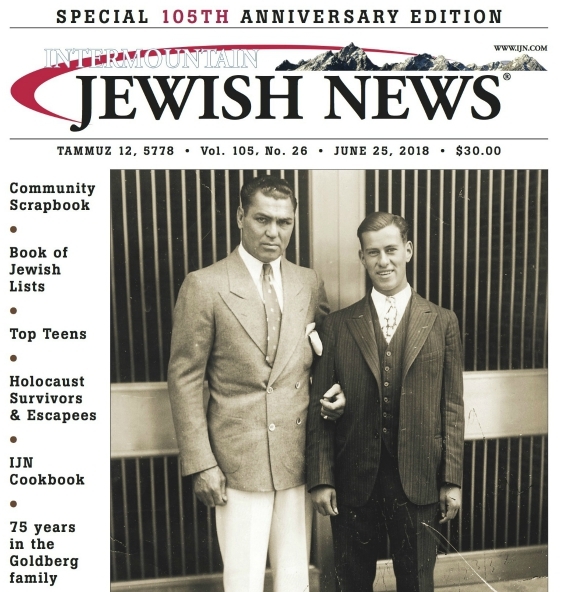 Just 10 days after the abdication of the tsar, the new provisional government had officially granted freedom to the long beleaguered Jewish community of Russia. These freedoms included residing where they pleased, participating in all educational advantages voting, and owning property. Would this pronouncement signal the end of decades of persecution for the world’s largest Jewish community? Many in the Jewish community responded enthusiastically. The results would turn out to be far different from the hopes. The provisional government was very young and vulnerable. Revolutionary Marxist leader of the Bolshevik Party, Vladimir Lenin, who returned from exile in Switzerland with the assistance of Germany, helped foment a revolution to topple the Kerensky government. In order to maintain Western alliances, Kerensky, who had become Minister of War in May, 1917, had kept Russia in WW I and launched another attack against Austria-Hungary into the region of Galicia, known as the Brusilov Offensive, which turned out to be a very costly failure. Lenin, who opposed the war, had promised the suffering Russian people “land, bread and peace,” earning him sufficient support from local Soviet revolutionary councils, to mount a takeover and realize his plans in November, 1917. The Bolshevik Revolution, also known as the October Revolution (again, because of the Julian calendar), caused the people immeasurable suffering. While the first Russian Revolution of 1917 did not incur substantial losses, decades of horrors under Soviet dictatorships followed. Millions perished from persecution, terror and in gulags. The Jews of Russia suffered the harshness of life in Russia; their dreams for freedom instead became nightmares of oppressive rule. The October Revolution produced dangerous and destructive forms of anti-Semitism. The Soviet regime, which promised equality, sought to forcibly assimilate Russian Jewry by outlawing Jewish practices. The goal was to eliminate Judaism and Jewish nationalism in Russia. Aiding the Soviets were Jewish communist groups,“Yevsekztia,” who spied on and betrayed other Jews who maintained Jewish observances. Zionists as well were persecuted. Although such groups represented a very small minority of the Jews, the damage they caused was considerable. The March revolution was a conduit to the Bolshevik revolution in November of that year. A century later, the Soviet Union, which lasted 74 years, leaves behind a massive trail of misery and destruction. Today, no major group, not even in Russia, wants to own the Russian Revolution. For Jews of Soviet descent, there are many tragic memories. There is also the saga of a struggle for Jewish survival. Bitter truth is always better than hiding it and rewriting the true history . Others will always point out the lies. I am an Israeli citizen with lot of knowledge about Russian history. Jews must have eternal gratitude and memory to a Russian soldiers (30 millions were fighting and sacrificed their young lives in WWII) saving Russian Jews, European Jews from total annihilation. May be helpful to you to see who plotted and executed so called Russian Revolution in 1917. Descendents of same people in 1991 Russia with again Russian tragedy. The Bolsheviks embraced the Jews. They stopped the pograms and banned religion in favour of science. Religious Jews went to Israel later.